John leads the OpenStack San Diego official user group getting the community excited about OpenStack! He frequently gives talks on cloud security, compliance and risk management. John leads the OpenStack San Diego official user group getting the community excited about OpenStack! He runs an OpenStack cloud for the community so user group members can try out the things they learn at the monthly meetings. 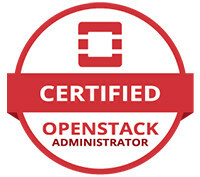 He got involved with OpenStack after being involved security cloud environments for one of his clients. He loves the flexibility of OpenStack and being able to get his hands dirty tinkering with cloud environments. For the last twenty years, John has been providing technical risk management services evaluating complex distributed systems for potential operational and security risk. Consulting for the telecommunications, pharmaceutical, and financial services industries, he performs audits and assessments of internal systems and external vendor platforms to identify compliance and security risks. He’s a graduate of the University of California, San Diego and Carnegie Mellon University. John provides cloud and technical risk management services with JHL Consulting. He got involved with OpenStack while rolling out cloud security products for AT&T and Leidos into public and private clouds. As part of giving back to the OpenStack community, John runs the San Diego OpenStack Meetup group providing technical workshops and speaker presentations.